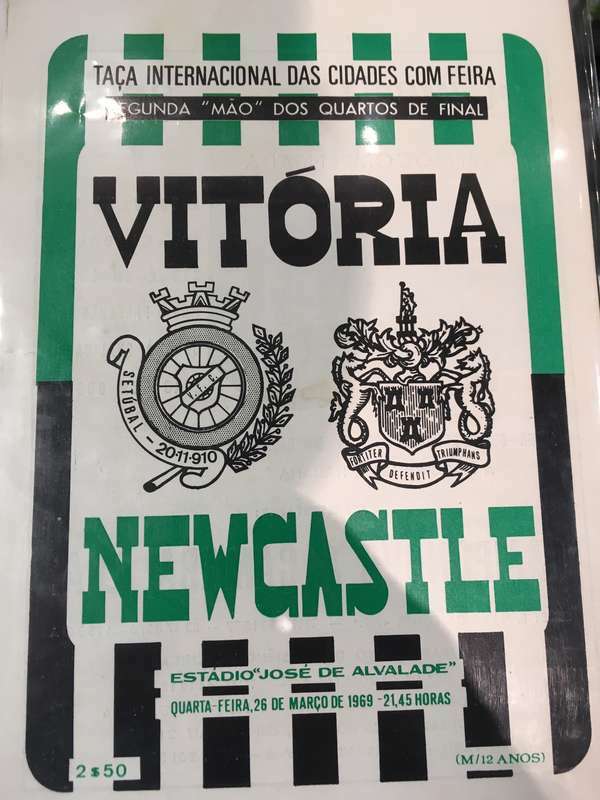 On 26th March 1969, Newcastle United took on Vitória Setúbal in the second leg of an Inter-Cities Fairs Cup quarter final. Two weeks ago, through the eyes of left-back Frank Clark, we reported on United’s emphatic 5-1 first leg win – a result which would surely send Joe Harvey’s side through. A return trip to Portugal stood in the way of a place in the last four, with the second leg switched from Vitória’s smaller Estádio do Bonfim due to a lack of floodlights and on-going maintenance. Instead, the match took place at the daunting Estádio José Alvalade, home of Sporting Lisbon – a ground the Magpies had already secured a 1-1 draw at in an earlier round of the same competition. While relatively unknown outside their homeland, Vitória were starting to make a name for themselves on the European stage, beating top Italian side Fiorentina in the third round (they would defeat Liverpool in the second round a year later). They were also a force on Portuguese soil, having finished fifth in the Portuguese League in the previous season – just three points off second place. 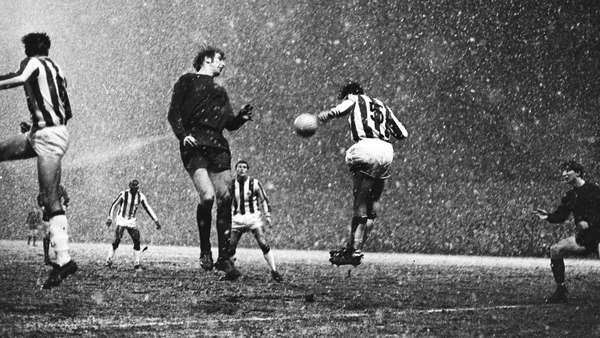 As Clark hinted after the first leg, even though United had beaten Vitória by four clear goals on Tyneside, the result had been slightly fortuitous due to heavy snow. Going to Lisbon for the second leg would not be straightforward – something that manager Joe Harvey kept drumming into his players as the game drew closer. In the two weeks between the ties, Newcastle were kept busy with the small matter of a Tyne-Wear derby. Jackie Sinclair’s goal looked like it would take Harvey’s men overseas on the back of a win, but Colin Suggett levelled seven minutes from time to give Sunderland a share of the points. With thoughts back on the Fairs Cup, United jetted off to Lisbon’s Portela Airport – and centre-forward Wyn Davies, known affectionately as 'Wyn the Leap' due to his aerial prowess – was wary of what would await the team. 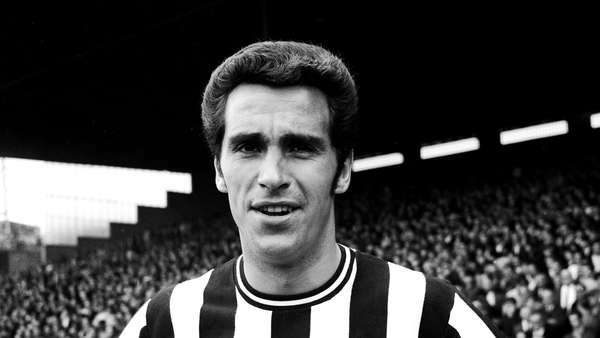 "We’d done ever so well back at St. James’ Park,” Wyn told nufc.co.uk. "But even though they struggled in the snow, there were glimpses that night that those lads could play, with neat touches and some silky football. "It didn’t work for them in the snow and mud back home. We knew this would be a completely different game and to be fair, none of the lads were the slightest bit complacent. We’d worked hard to get this far and we weren’t going to let things slip by not approaching the game in the right frame of mind." If the Tyne-Wear derby had been a big game, the players were quickly reminded that football on the European stage was at another level – and they would need to call on every bit of their collective experience to progress. "As we arrived at the stadium, bands, clowns, dancers and drummers created an incredible atmosphere before we’d even kicked off as Setubal tried to grab a psychological advantage," Wyn recalls. "Their fans had already created a carnival atmosphere and they kept it going throughout the game in a constant din of drums and trumpets. 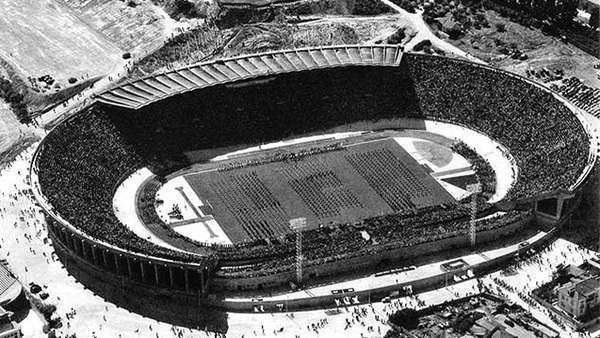 There was also the bizarre sight of a motorcycle that raced round and round the perimeter track during the match waving a huge Setúbal flag – not the sort of thing UEFA would allow these days. "The one thing we did know for sure was that they’d be a completely different proposition at home, my experience of European football was that the continental teams didn’t always fancy it when they played away but could really turn it on when they were at home in their own environment. "I’d also played international football with Wales and I think that gave me an edge too when it came to dealing with the nuances of games like this and the sort of tricks they’d try and play on and off the field. "Joe Harvey really was an inspirational manager and it was he more than anyone else who set us on our way." "He’d been a winner three times in the FA Cup, twice as a player and in passing on that knowledge and experience to us, well it really proved beneficial in many ways." If the snow had hampered Vitória in the first leg, they were far more comfortable in the heat of Southern Europe – and the Magpies would have to acclimatise quickly. Wyn continues: "Even though it was an evening kick off, it was still really hot and humid. "Unlike these days, where you have all sorts of medical staff in the background giving you advice on nutrition and fitness, in our day the trainer just made sure you drank plenty of water to stay hydrated. We weren’t naive or anything like that in terms of our preparation, but what we were was focussed on was the job ahead." "We knew they would come out of the blocks straight from the off and they put us under pressure right from the start. "Our full-backs, Frank Clark and John Craggs, had to be on the ball as the Setúbal lads were pinging these crossfield balls right and left trying to get in behind us but I remember they both had excellent games for us, denying their wide men the space needed to attack us on the flanks. "They were aggressive from the off but at the same time very skilful and some of their ball play was a cut above what we were used to facing back in England. But we had grit and determination in our ranks and you know, that counted for a whole lot more in my view." Despite their experience and will-to-win, the home side’s pressure would tell just before the half-hour mark, scoring through Arcanjo to bring the aggregate score down to 5-2 in the Magpies’ favour. "They had us on the rack in the early stages but we weathered the storm, not without a few scares, only to concede midway through the first half," Wyn recalls. "The goal came from nothing really, just a ball into the box that evaded Bob Moncur and Ollie Burton and their lad, Arcanjo, got up at the back post to head it past Willie McFaul. "You can imagine that really got the crowd going. They went crazy thinking they could pull off a miracle and get the four goals they needed to beat us and for the next few minutes I remember them being really hyped up. "That’s where Bob really played a vital part because he ensured we maintained our discipline and he would talk to the lads about keeping to our game plan. He was the cool head we needed and he led by example. "It looked like we were going to get to half time just the one down which wasn’t too bad really considering the pressure they had put us under." If going in just one-goal behind was good, things would get much better for United just before the interval. And it was a familiar sight, as ‘Wyn the Leap’ arrived in the box to head in, making it one apiece on the night. "We’d had just the occasional foray forward but never really threatened to score," says Wyn. "But then, and I have to say it was against the run of play, we scored just before the break. "I think it was Jimmy Scott down our right flank who found a bit of space and when he put the ball in the box, as he so often did, I was able to evade my marker and run on and nod the ball past their keeper Vital. That shut them up, but only briefly, and soon the noise was as loud as ever as we went back to the changing rooms at half time. "I was getting a bit of rough treatment too but that was nothing new and something I just dismissed and got on with the game. Both sides made one change from the first leg, with right-back Conceicao replacing Herculano for the home side, while United brought in Jackie Sinclair for Arthur Horsfield. Vitória Setúbal: Vital, Conceicao, Carrico, Batista, Cardosa (Petita), Alfredo, Jose Maria, Wagner, Figueiredo, Arcanjo, Joao. Newcastle United: Willie McFaul; John Craggs, Frank Clark; Tommy Gibb, Ollie Burton (John McNamee), Bob Moncur; Bryan Robson, Jackie Sinclair, Wyn Davies, Jimmy Scott, Alan Foggon. In the relative calm of the dressing room, manager Joe Harvey was working his magic; inspiring his players and trying to shore up any first-half errors. “Joe was great at saying the right things at half time,” says Wyn. “He often did so with a minimum of fuss and with as few words as were needed so when we went back out for the second half we all felt ten feet tall. “But Setúbal began where they had left off and when they hit us with two quick fire goals around the hour mark things, for the first time, looked just a little bit hairy. After scoring six times across the two legs, United were in no mood to wilt in the heat and they were looking likely to seal their place in the next round with the aggregate score at 6-4. “The next ten minutes proved to be the key to our progression to the last four. We stood tall and firm, defended heroically and as the clock ticked down they became far less potent, less of a threat and indeed if anyone was going to score in the last ten minutes, it was us. Despite a 3-1 defeat in Lisbon, Newcastle United had reached the last four of a European competition for the first time in their history. But the Magpies were aware things would only get tougher, with three of the era’s European heavyweights lying in wait. 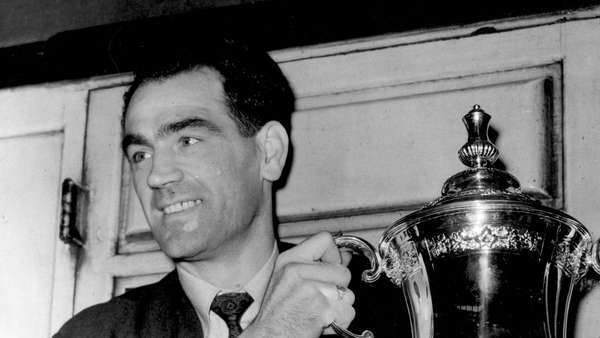 “To do well in cup competitions, you do need a bit of luck,” Wyn adds. “I firmly believe that, but of course you had to be a decent side too - and we certainly were that. “Maybe it wasn’t luck that took us past Setúbal, but we got the breaks at the right time. "We had the wind behind us, so to speak, and because we were unfancied and unknown in European terms, we just kept churning out the results without anyone really taking notice of us. “So there we were – into the last four of the Fairs Cup.